Welcome to the Colborne Bed and Breakfast! We are your hosts, Emilios and Connie Gergolas. Located in Goderich, Ontario, our lovely Victorian era home is filled with beauty and charm. It is close to the historic downtown shopping square, beaches, museums, concert venues, and recreational trails. Colborne Bed & Breakfast has been awarded the Trip Advisor’s ‘Certificate of Excellence Award’ consecutively for the past 4 years! First experience ever at a B&B and I am afraid they have set the bar so high, any other may disappoint! Such a charming B&B -the best! Clean, fresh, great breakfast. Good people! Thank you for a wonderful weekend away! Your home is beautiful and your kind and friendly service was amazing. See you again! Thank you so much for everything. Beautiful food, beautiful room, beautiful house -just plain beautiful -and so friendly! Lovely attic suite. So comfortable and friendly. Gaol was a great visit and lots of nice waterfront walks. Lovely break away! Absolutely Great!!! Thank you so much -such fantastic hosts. Beautiful home. Thanks for sharing. Delightful town. Enjoyed our stay. First time stay and it was great. The breakfast was superb, my compliments to the chef. Wonderful host and hostess. Very well run B&B. Will be back! Lovely stay -and the breakfasts were fantastic! What a lovely stay! Such wonderful, kind, accommodating host/hostess! Our home has three stories with 4 tastefully decorated bedrooms on the 2nd floor, and an efficiency suite located in the attic loft. Every Guest room is fully furnished and has either a whirlpool bath or a shower ensuite, free WIFI, a hairdryer, and facilities for making coffee or tea. Our King rooms also feature a sitting area with fireplace & TV. Our Guest living room is equipped with a TV, fireplace, board games, books, and movies. For those who prefer a more peaceful space we have an enclosed front sun porch, gardens, and a back deck to help you rest and relax. Gift certificates are always available and are a perfect gift idea for a wedding, anniversary, or any special occasion. Included with your accommodation is a full Gourmet Style Breakfast served each morning in our guest dining room. We do our best to accommodate dietary preferences and restrictions, provided we are notified upon booking. As well, complimentary treats, coffee, and tea are always available in our dining room. The relaxing sun-filled Kennedy Suite features a king size bed, a sitting area, TV, a writing desk, air conditioning, and a gas fireplace – perfect for those cooler evenings. The ensuite washroom features a whirlpool tub with shower. This quiet retreat overlooks our beautiful back gardens. The Anderson Suite has a king size bed, a sitting area, curved chaise, air conditioning, TV, and gas fireplace perfect for those cooler evenings. The ensuite washroom features a whirlpool tub with shower. The smaller and tranquil Caesar Guest Room features a queen size bed, air conditioning, and a small compact ensuite three piece washroom with walk-in shower. The Cassidy Guest Room is a small room with two twin size beds, air conditioning, and a small compact ensuite three piece washroom with walk-in shower. Perfect for friends travelling together. The Sunset Suite is on the 3rd floor of our home and features a queen size bed, a sitting area with pull out futon, small table and chairs, TV, and air conditioning. This room has a private three piece washroom with walk-in shower. The suite also features a small efficiency kitchen area with fridge, microwave, coffee pot, single burner induction cooker, and dishes. An additional person can be accommodated in the Kennedy and Anderson Rooms only. A cot will be provided at a cost of $35.00 per night plus taxes(13%). Make your get away happen! Look through our wonderful selection of rooms above to decide where to spend your vacation. Once you’ve decided be sure to reserve now before it books up! 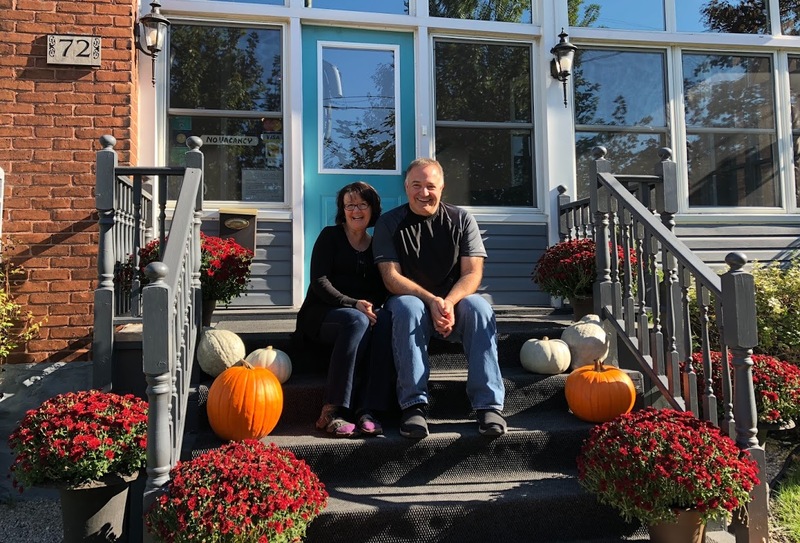 At Colborne Bed & Breakfast the emphasis is on creating a “Breakfast Experience”, served in a warm and friendly atmosphere. Our delicious 3 course Chef’s Choice breakfast highlight the very best of what is fresh and in season. Our breakfasts begin with fresh baked muffins or scones served with local preserves and butter. We follow that with a fresh fruit and yogurt dish. The hot entree includes dishes such as Herb and Cheddar Individual Frittatas, Mushroom Quiche, Brie, Pear and Ham Personal Omelettes, Strawberry Crepes, Scrambled Egg with Feta Strudel, Cointreau Orange French Toast with Maple Berry Compote, Cheddar Souffles, Belgian Waffles served with fresh whipped cream, and many other delectable creations. Please be sure to advise us in advance of any food restrictions so we can adapt your breakfast entree to suit your individual dietary needs. Known as “Canada’s Prettiest Town”, the town of Goderich, Ontario, is located on the shores of Lake Huron. 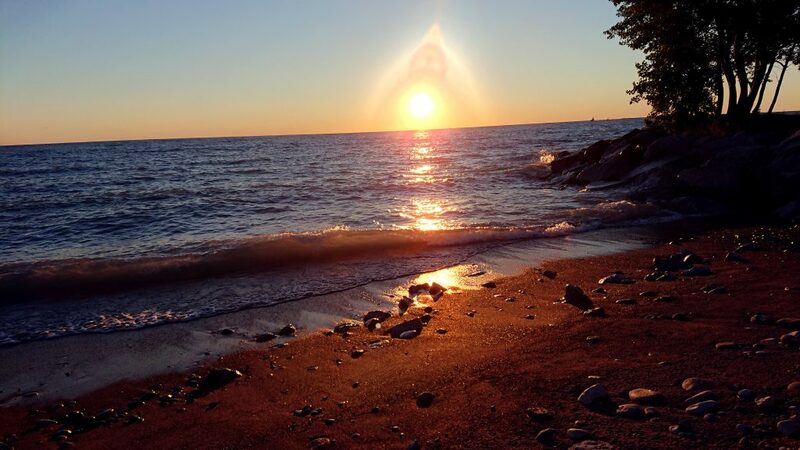 It is a popular tourist destination filled with history, beautiful beaches, and breathtaking sunsets. Whether you are looking to spend a romantic weekend or just get away from the hustle and bustle of the city, the Colborne Bed and Breakfast is your perfect destination for any occasion. As you walk out the front door of the Colborne Bed & Breakfast be prepared to enjoy the sights and sounds of a small town. Wide quiet streets provide the perfect backdrop for a leisurely stroll for some shopping, the Saturday Farmers’ market and Sunday flea market. You can take in a free outdoor concert, or visit the past at the Historic Gaol and the town’s famous Huron County Museum. Experience theatre locally at The Livery Theatre, or drive to Blyth, Grand Bend, or Stratford for more live shows and performances. Blyth is also home to Cowbell Brewing Company, a unique Canadian destination craft brewery. If water sports or swimming interest you, the 3 beaches and marina are also within walking distance and watercraft rentals are available at reasonable rates. Golf, tennis, fishing and other sporting facilities are nearby and easily accessible from our B&B. For those who like to hike or bike there are many trails and paths to keep you active and for a more relaxed walk our boardwalk by the beach is very popular. Cyclists can enjoy accessible safe off-road trails as well as country road cycling or enter the Goderich Triathlon for a true challenge! In the winter, you can snowmobile or enjoy some of the best cross country skiing and snowshoeing trails you will find anywhere. 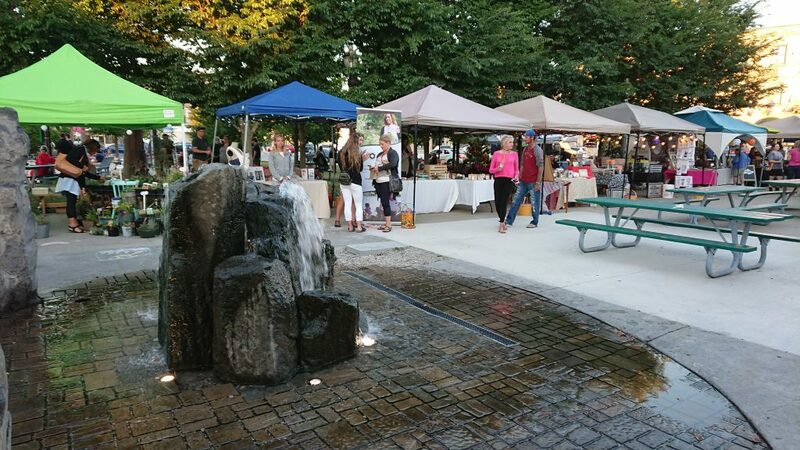 Goderich has exciting events scheduled throughout the year. 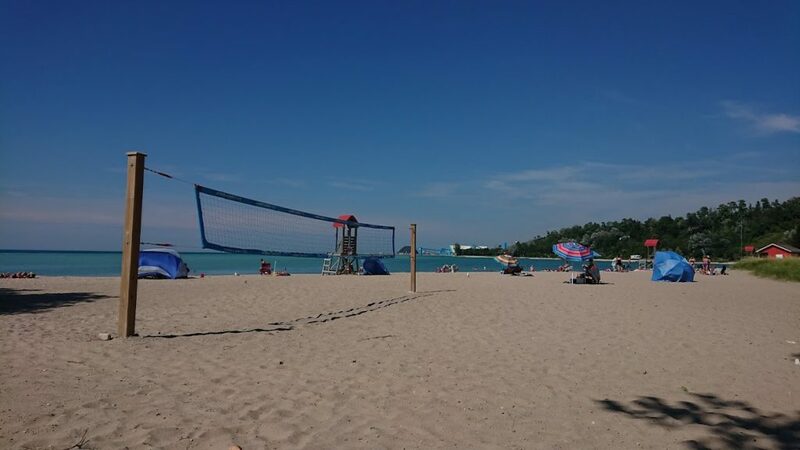 The summer months are famous for many special activities including the Celtic Festival, Summerfest, Canada Day Celebrations, the Goderich Triathlon, Bluesfest and more. Fall and Christmas offer many seasonal festivities around Goderich and the lights in the Courthouse Square are a must see during the holiday season. 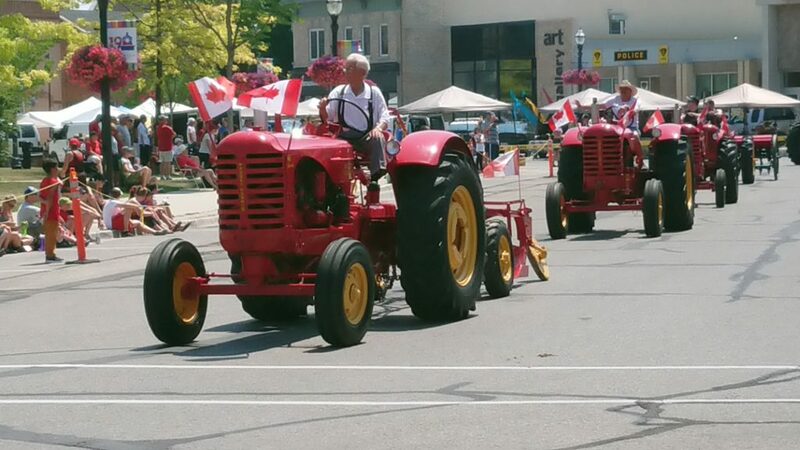 For more information on these special events and many others in the area please visit our Downtown Goderich BIA website for the full story. 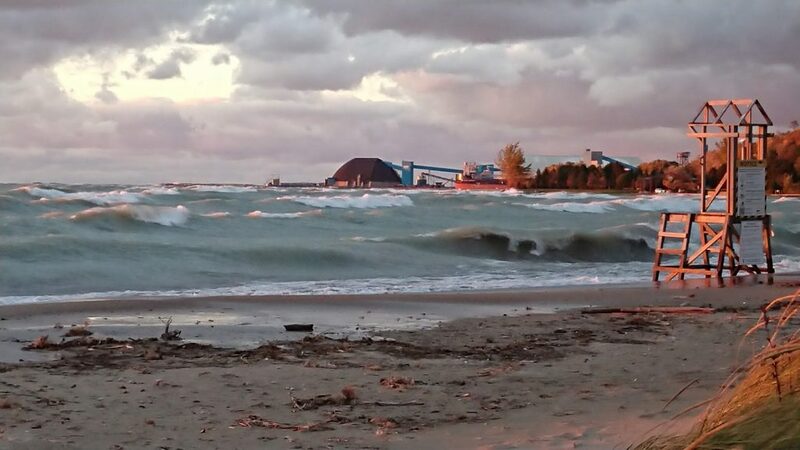 And then, of course, there is the famous Goderich sunset – one of the most beautiful sunsets in the world. 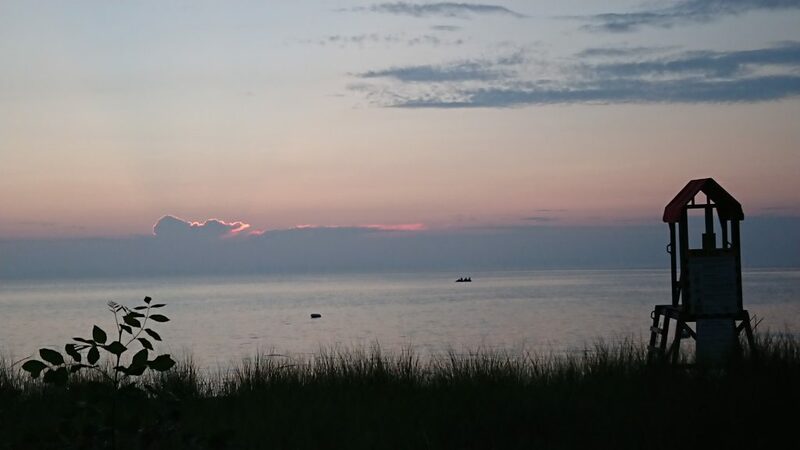 Watch the sun set twice, once on the lakeshore and then watch again from the top of the bluffs along the coast of Lake Huron! Looking for something to do? Click here for a list of ideas and links! To make a reservation you can use Colborne B&B’s online reservation system, or to contact Colborne Bed and Breakfast directly, email bookings@colbornebandb.com or call 519-524-7400, or toll free 1 (800) 390-4612. Prices quoted are in Canadian funds. We accept Visa, MasterCard, American Express, or cash. A valid credit card will be required to confirm your reservation and guarantee your room. Payment will not be charged to your credit card until check out. Room Rates are subject to change. A $25 cancellation fee is charged for all cancellations with at least 48 hours notice in advance of your scheduled arrival. If you wish to cancel your reservation within 48 hours of your arrival, we will do our best to resell your room. However, if we are not able to resell the room, your card will be charged for your entire booking. Reducing the number of days of a stay is considered a cancellation and all cancellations must be submitted by email. (Leaving a phone message is not an acceptable form of cancellation). If your booking is through Expedia, Booking.com, Airbnb or any source other than our direct booking system, the cancellation must be done and approved by the booking agency used to create the original reservation. Check in is from 4:00 p.m. to 9:00 p.m. and Check-Out is from 10:00 a.m. to 11:00 a.m.. Please contact us by email for any alternate arrangements for check in or check out times to guarantee we are here and able to help you. We mainly cater to adults but do welcome children over the age of 10 under the supervision of their parent/guardian. Younger children are allowed if the whole house is rented by same family/friends. We are a non-smoking building and grounds and do not allow smoking anywhere within our home or property. Regretfully, no pets are allowed. However, boarding is available nearby by appointment at: K-9/Kitty Kennels, 78191 Porters Hill Line, Bayfield, Ontario N0M 1G0, phone 519- 482-1500. Collecting Information: We collect information about guests such as name, automobile license number, make and year, credit card number and special needs, interests and preferences. We may collect information from you directly, from a member of your family, or from a business associate making reservations for you. We may obtain it by telephone, in person, by mail, by fax or by e-mail. We may keep the information in written form or electronically. By providing this information to us, you enable us to serve you better. Using Information: We use the information collected to make your stay more enjoyable, to assist in arranging payment of your accounts, and to provide further information to you about our facilities and our programs. We will retain your personal information only for as long as required by the law or as necessary for the purposes for which it is collected. Your personal information will not be used for other purposes without your consent. Disclosing Information: We will not disclose any personal information collected about you to anybody else, unless required to do so by law, except when we provide the information to firms we retain to assist us in forwarding additional information to you, or in collecting funds owing by you. If our business is sold, we may provide the information to the purchaser of our business. We will comply with all laws which require us to supply the information to government agencies and others. We will not otherwise sell, transfer or trade any mailing list which includes your information. Keeping Information Secure: We will keep written information in a secure place in a locked cabinet. If the information is stored electronically, it will be password-protected and available only to those members of our staff who require it. Access to Information: If you wish to review the personal information we keep about you please contact our Privacy Officer at the address set out below. At your request, subject to applicable law, we will delete your personal information from our records. Obtaining Your Consent: By providing personal information to us, you are consenting to us using it for purposes set out above and disclosing it to the parties described above. If you do not want us to use any personal information about you, or wish to limit the use or disclosure of such personal information by us, please contact the Privacy Officer at the address set out below by mail, fax or e-mail. Contact Us: Our Privacy Officer is Emilios Gergolas, Colborne Bed and Breakfast, 72 Colborne Street, Goderich ON N7A2V9. 519.524.7400; TOLL FREE (800) 390-4612 email cande@colbornebandb.com.